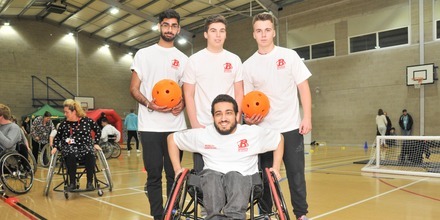 Five Barnsley College students devised an event at the college which gave over 150 learners the chance to enjoy range of disability sports. Level 3 Business National Diploma students Mostafa Haydar, Aarondeep Singh Mawi, Benjamin Saxon, Daniel Taylor and Regan Thomsen organised the activities for a unit on event planning and management as part of their course. The event was held at Honeywell Sports Village on the International Day of Persons with Disabilities and raised awareness of the Sheffield Association for Spina Bifida and Hydrocephalus charity in the process. Learners studying Business, Childcare and Education Professions, Computing, Learning for Living and Work, Public Services, Sport and Travel and Tourism courses at the college tried their hand at blindfold football, cone dribbling, benchball, minefield, wheelchair basketball and wheelchair racing. Mostafa Haydar, 23, who has Spina Bifida and Hydrocephalus himself, said: “When we were tasked with organising an event as part of our course, we felt the International Day of Persons with Disabilities was the perfect opportunity to hold a disability sports event and raise awareness of the Sheffield Association for Spina Bifida and Hydrocephalus. 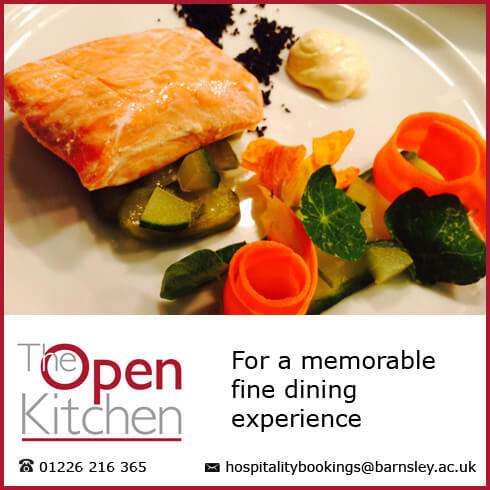 For more information on Business and Management Services courses at Barnsley College, call 01226 216 123 or email info@barnsley.ac.uk.